Suzuki has launched its new 110cc scooter Lets which was unveiled at the 2014 Auto Expo already. Lets measures 1805 mm in length, 655 mm in width and 1120 mm in height. 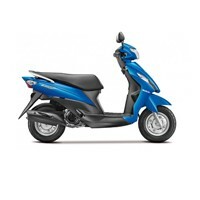 The wheelbase of the scooter is 1250 mm while the ground clearance is 160 mm. 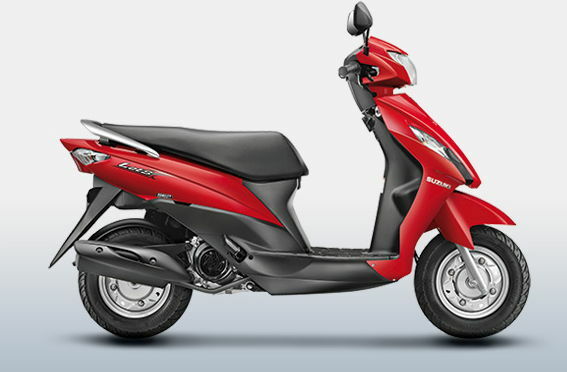 The fuel tank capacity of the scooter is 5.2 litre and the overall weight of the scooter is 98Kg. 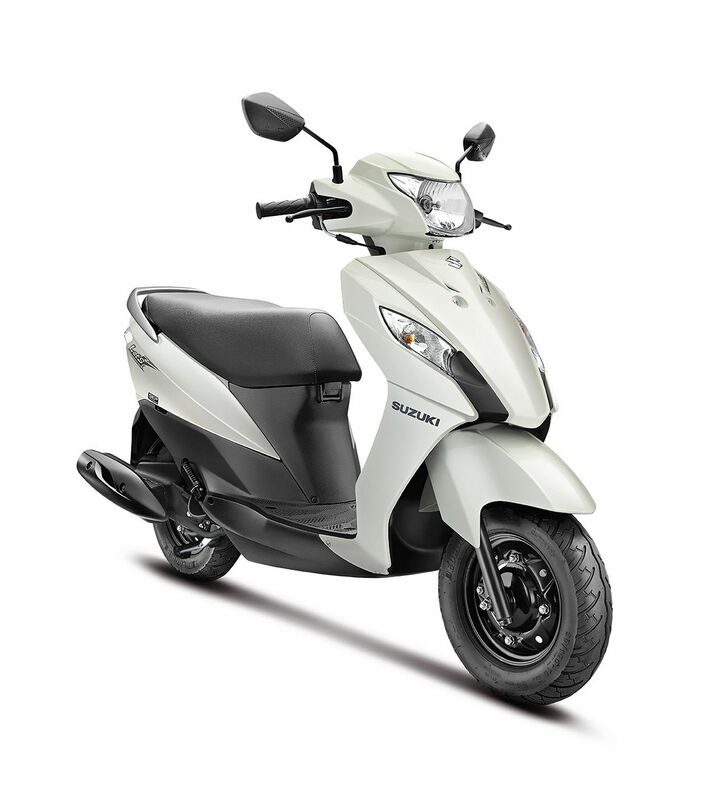 It is powered by 112cc, in-line, single-cylinder, four stroke, air-cooled engine with Continuously Variable Transmission (CVT) gearbox. The engine can churn out maximum power output of 8.7bhp at 7500rpm and maximum torque output of 8.92Nm at 6500rpm. It can return an overall mileage of 63kmpl. 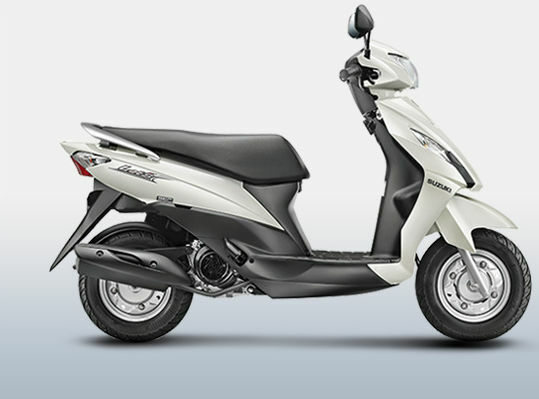 The suspension duty is done with the help of telescopic forks at the front and mono shock stressed engine at rear. It gets tubeless tyres with 10” steel wheels. It offers five different shades like Glass Sparkle Black, Metallic Sonic Silver, Pearl Mira Red, Metallic Triton Blue and Pearl Mirage White. It is available at a price of Rs. 43,515 (On-road Price – Delhi). 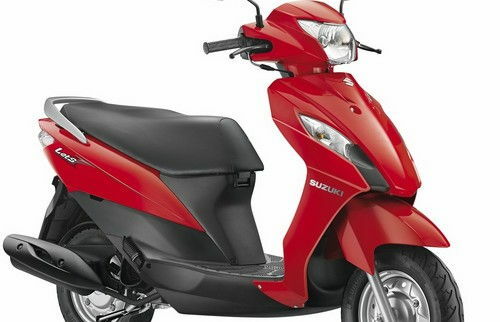 * Prices of Suzuki Lets indicated here are ex-showroom price not the on road price of Lets. 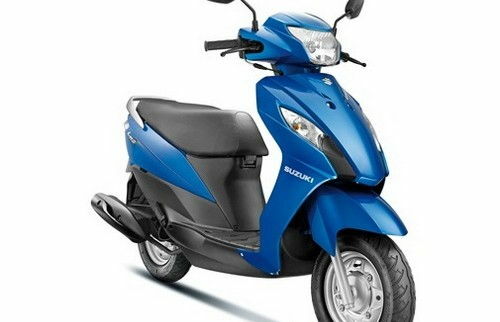 Price list is subject to change and for the latest Suzuki Lets India prices, submit your details at the booking form available at the top, so that our sales team will get back to you. 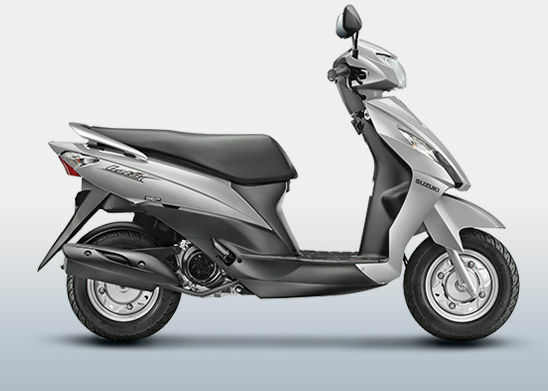 Suzuki Lets mileage mentioned here is based on ARAI test drive made under standard test conditions. 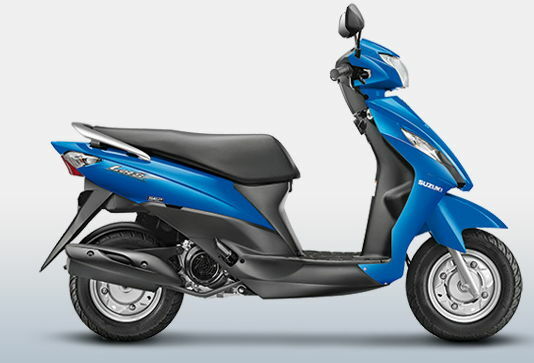 "The prime specs of Suzuki Lets are listed here. 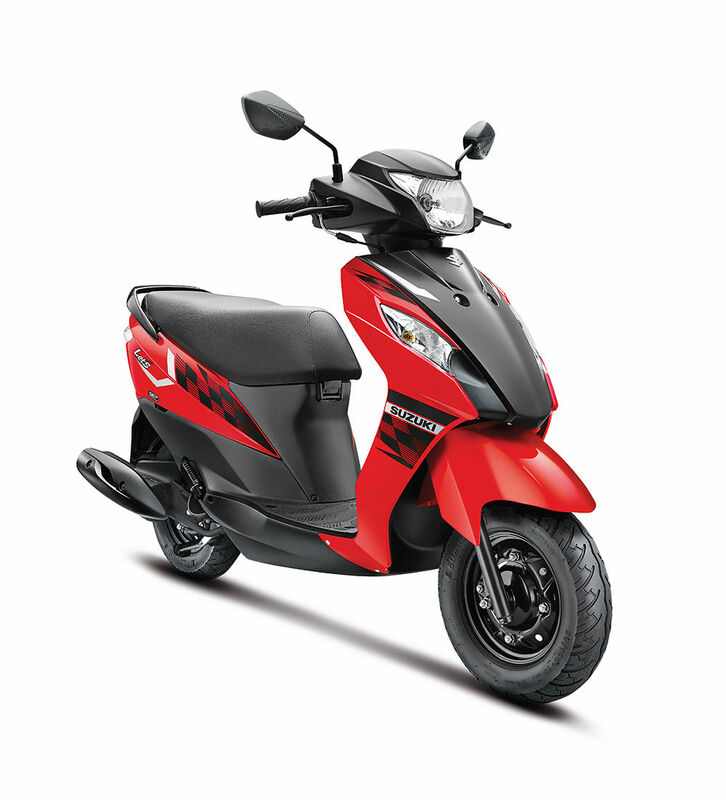 The overall length, width of the bike should give you an idea about its manoeuverability to sneak and run through the traffic jams.Engine specs of Lets are also listed here. With the power (in bhp) and torque (Nm) figures the most important ratios - power to weight ratio of Lets and torque to weight ratio. The displacement (in cc) is the measure of cubic capacity of the engine. The performance figure of the bike zero to sixty and zero to 100 in seconds will give you the sense of the power the bike possess and its on road performance. The lesser the time taken by the bike to reach 60kmph or 100kmph the faster it is over it competitors "
Purchased the Suzuki Lets at an attractive price tag of Rs 53,000,a few months back.I really loved the easy going manner during the ride that covered about 28kms.The under seat storage is not so spacious,even to place the helmet.Fit and finish gets executed well.It is suitable for short riders,but for persons who are tall like me,a little bit inconvenience is felt in the seating posture.